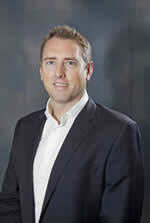 Christopher Burns is Chief Executive Officer of First Atlantic Commerce. He joined FAC in 2004 and was appointed CEO in September, 2011. Christopher has extensive experience in international, offshore and domestic card payments systems and ecommerce acquiring. Prior to the post of CEO, Christopher served as SVP of Business Development at FAC, where he was responsible for all aspects of client relationship management, bank acquirer relationships and strategic partnerships. He holds a BA (hons) degree in Business Management and worked in the UK for many years before returning to Bermuda. Ronnie Viera has spent more than a decade heading up Information Technology departments in three different companies including The Argus Group, a Bermuda insurance company; Capital G Bank Limited, a Bermuda-based bank; and from 2000-2004, First Atlantic Commerce. He has over 30 years of experience in IT and Operations. Ronnie is a Certified Information Systems Security Professional (CISSP), a Certified Information Security Manager (CISM) and a Certified Information Systems Auditor (CISA). He also has experience across various industries including Banking, Insurance and E-Commerce. Prior to his post as COO, Ronnie was SVP of Information Technology & Operations. Tricia Lines Hill has more than twenty years of experience in global marketing, corporate communications and business development. She has worked as a publisher, journalist and editor for newspapers, global trade magazines, real estate journals and international business newsletters. She is currently director and principal of a Bermuda-based publishing company and director of a Bermuda-based retail operation. She has also served as director of a Bermuda based ISP as well as a Bermuda-based corporate services company. Tricia holds a BA from Guelph University in Canada and a Master’s degree in International Business from Webster University in the US. Tricia is responsible for merchant acquisition and client relationship management as well as FAC’s marketing and strategic communication efforts. Corinne Leite has a Bachelor of Business Administration degree from Simon Fraser University in British Columbia, Canada and is a member of the Canadian Institute of Chartered Accountants. She has over 15 years experience as a senior finance executive across a variety of industries, both public and private. Most recently, she has provided senior executive consulting services to a breadth of Bermuda based companies. Corinne is responsible for the finance team as well as the corporate administration of the company.